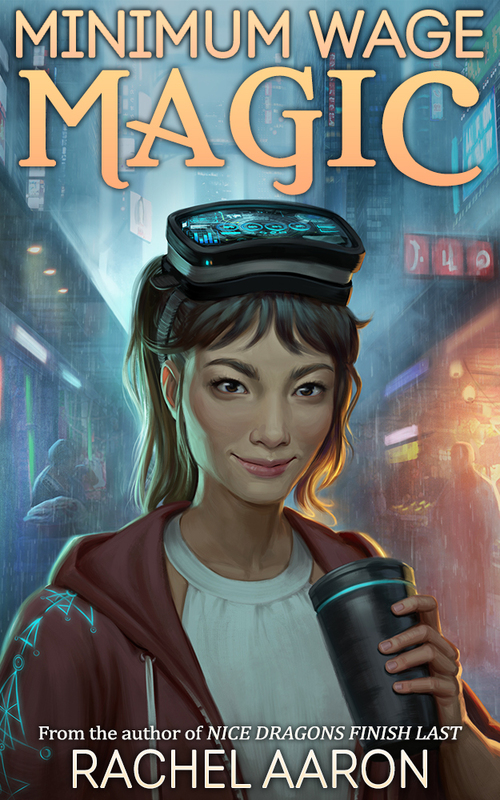 Pretentious Title: MINIMUM WAGE MAGIC is out today! 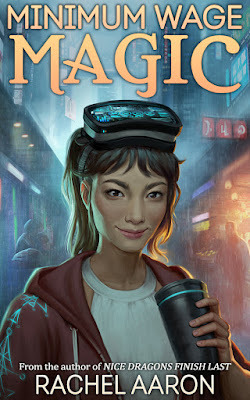 MINIMUM WAGE MAGIC is out today! It's finally time! MINIMUM WAGE MAGIC is out in the world! "A catchy title, a plucky protagonist and a maximum effort by the author, honestly readers can't ask for more in the urban fantasy genre." The DFZ, the metropolis formerly known as Detroit, is the world's most magical city with a population of nine million and zero public safety laws. That's a lot of mages, cybernetically enhanced chrome heads, and mythical beasties who die, get into debt, and otherwise fail to pay their rent. When they can't pay their bills, their stuff gets sold to the highest bidder to cover the tab. That's when they call me. My name is Opal Yong-ae, and I'm a Cleaner: a freelance mage with an art history degree who's employed by the DFZ to sort through the mountains of magical junk people leave behind. It's not a pretty job, or a safe one--there's a reason I wear bite-proof gloves--but when you're deep in debt in a city where gods are real, dragons are traffic hazards, and buildings move around on their own, you don't get to be picky about where your money comes from. You just have to make it work, even when the only thing of value in your latest repossessed apartment is the dead body of the mage who used to live there. I very much hope you'll grab yourself a copy or try it out for free on Kindle Unlimited. Thank you so much to everyone who preordered! I hope you're already enjoying the story! For those of you who prefer to listen or hold the book in your hands, the audio and print editions are on their way. I'll be sure to let you all know as soon as they're available. And for those of you who are nervous about starting a new series, I'm writing book 2 right now. It should be out early next year, so don't worry. I'm not going to leave you stranded. That's it! Thank you so much as always for being my readers and subscribing to my list. You are the literal best and I love you all to pieces. I hope you enjoy Opal's story! Congratulations on the new release. As I type this you already have two, superb, 5-star reviews on Amazon! Great blurb, and I love Opal's name! What a great release, congratulations! A good to read blog with precise and necesary details into it. Really enjoyed complete reading and grabing valuable information inside. Even the language is simply and offers easy to read manner approach. Thank you for sharing such an important information. I wanted to thank you for this great read. Your blog is one of the finest blog about the car desining. Thanks for posting this informative article. I can't wait to see a picture of Nik on a cover. I'd love to see his mysterious backstory play into the next book.